Within the English Commons of the city of Norris stands this magnificent American elm. 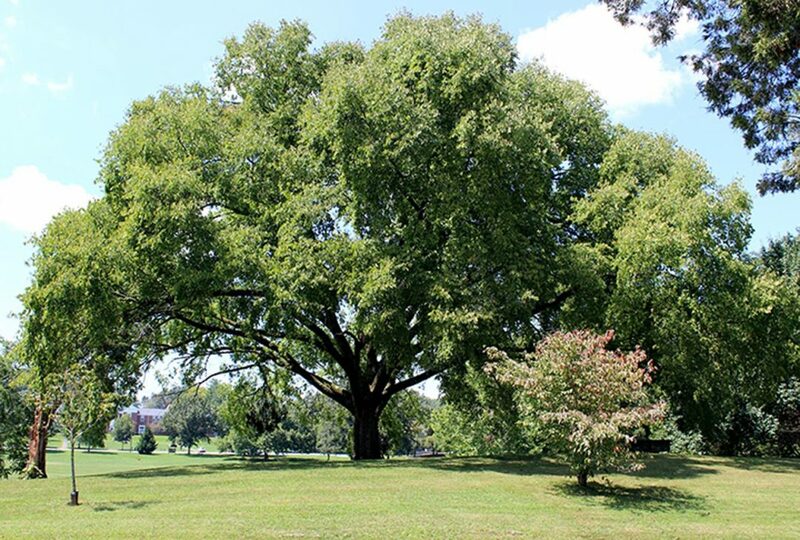 Planted by the Tennessee Valley Authority in mid-1930 when the town was built, the tree is over eighty years old and stands some 83 feet over the Commons. Norris, the first planned community in the country, was the first Tree City USA in Tennessee, certified in 1979. State Forester Max Young presented the Tree City flag within the shadow of this elm in 1980. The Norris Tree Commission is responsible for its care and protection. Through careful maintenance and pruning, the tree has survived the ravages of Dutch Elm disease and weather. This tree in front of Norris Middle School remains a hallmark tree for the community.